Drink my coffee or Irish coffee and build something too. 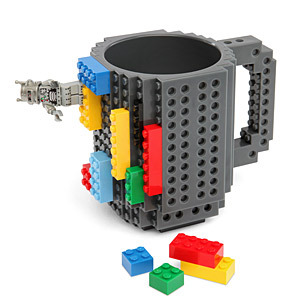 I have to have the 12-ounce Build-On Brick mug that ThinkGeek is selling. Hmm, I wonder how difficult it will be to clean? The kids are going to be so jealous.